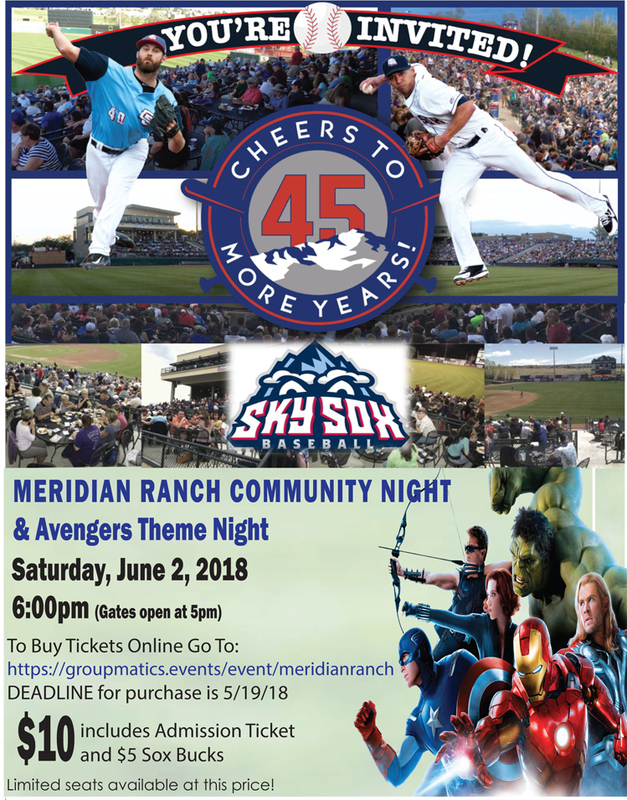 Colorado Springs’ triple-A baseball team, the Sky Sox welcome Meridian Ranch families to this unique community event. Cost is only $10 per person and that gets you an entry ticket and $5 Sox Bucks to use on merchandise or food. Come as you are or wear your favorite Avengers costume! Avengers characters will be on site to entertain the kids. Stick around for the Avengers themed fireworks show after the game.